4.colour of print 4.colour of print (required)A.B.C.D.E.F.G.H.I.J.K.L.M. 4.colour of print (required)A.B.C.D.E.F.G.H.I.J.K.L.M. 4.colour of print (required)A.B.C.D.E.F.G.H.I.J.K.L.M. 4.colour of print (required)A.B.C.D.E.F.G.H.I.J.K.L.M. YOU, ME - OUi ! A personalised wedding print for the newlywed couple, it makes the perfect wedding gift! 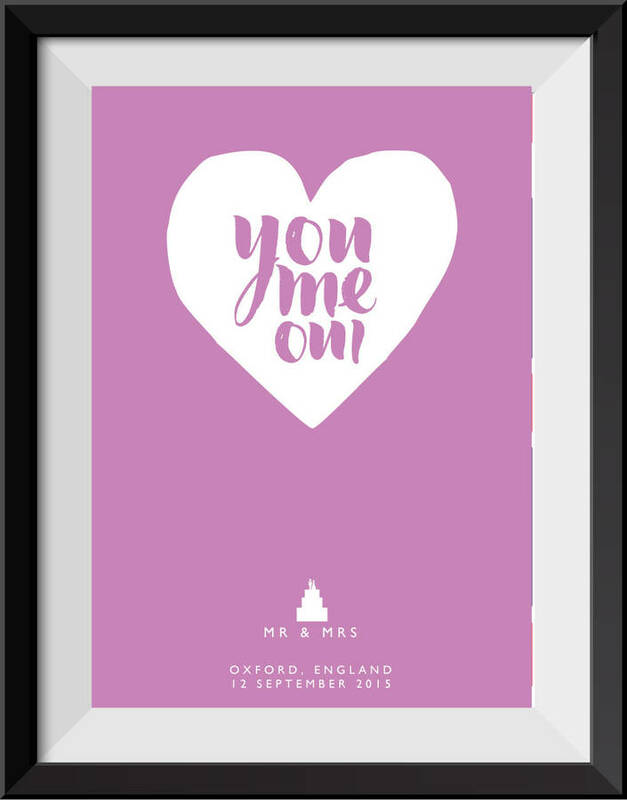 You can personalise this beautiful design by putting MR & MRS 'SMITH', followed by THE DATE and then THE VENUE. All of these would make it truly unique and personal to the married couple and so become a very special, treasured keepsake. 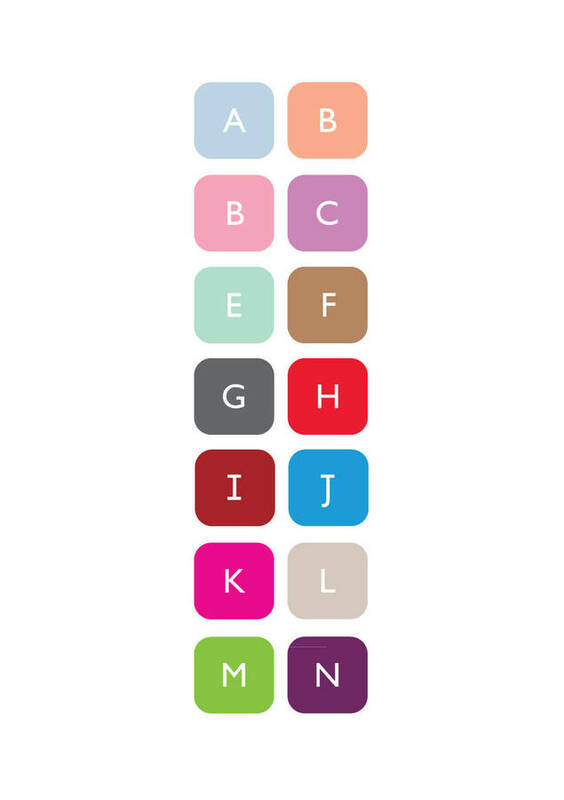 The design is always in a single colour - please see chart image for all colour options avaialble and choose one form the drop down menu bar. 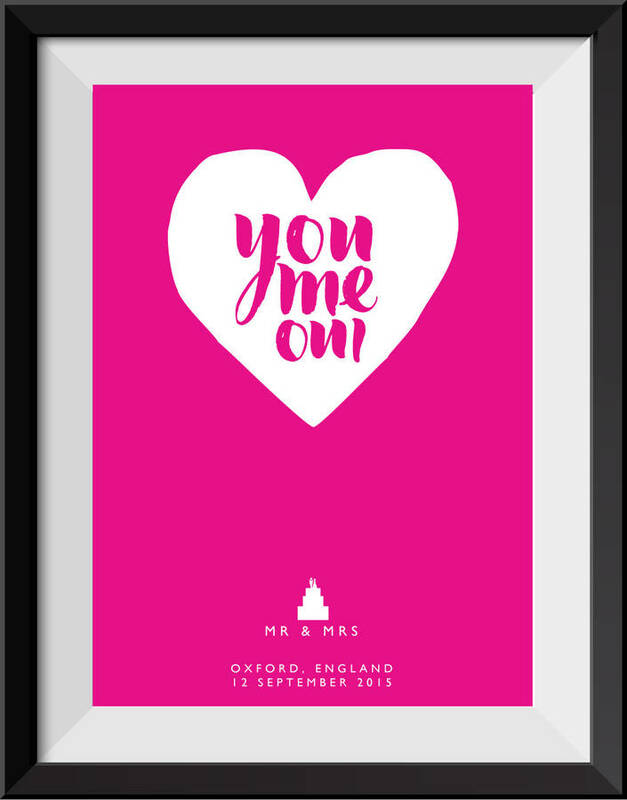 It is available at A4 or A3 size and is packed posted flat with a re-inforced card backing - WITHOUT A FRAME. 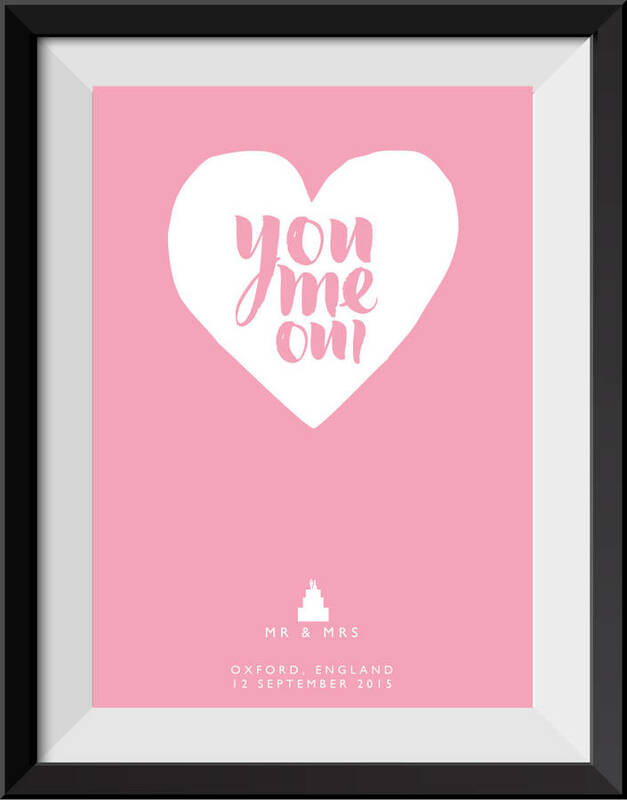 It is worth mentioning that the overall cost is reflective of the personalised work we are required to complete for you - and that the increased cost for an A3 print is for our increased mailing and print costs to ensure such a large print gets to you in a recorded time and in an excellent condition.